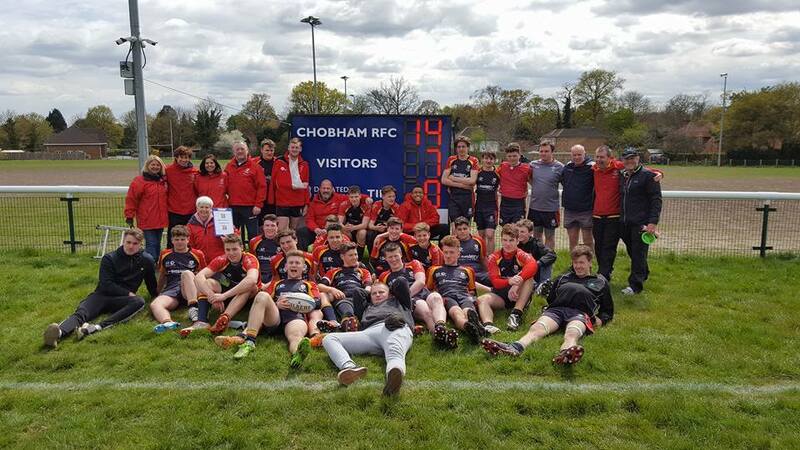 Chobham Juniors compete with a high degree of success in the Surrey Youth leagues, as well as playing many competitive friendlies against other clubs in the local area. Several of our players have also been capped for their County and we maintain strong ties with Surrey RFU. New recruits should in the first instance contact us to make arrangements and to get an insight into what to expect and what is expected of you. We do ask that you do this rather than simply turning up as this way we can ensure we give you the best welcome and smoothest transition. This is particularly important if your player is relatively new to rugby; in which case we endeavour to give them some 1:1 time to ensure their contact skills are sound so they are safe to join in with the squad. When we’re not playing, we train at Chobham Rugby Club grounds at Fowlers Wells in Chobham on Sundays from 11.30am – 13.30pm. We also have Midweek training at Chobham from 18.30 every Thursday for those who can make it.